During my 15 years as a Canine Behaviour Specialist, I’ve worked with lots of couples who’s dogs have been their fur-baby….and now they’re about to have a “real” baby. It can be a really stressful time for expectant parents – especially those who are first timers. Not only do they not know what to expect with regards to the human child they’re about to have, but they are unsure about how that will impact on their fur child, who – up until this point – has been their world. 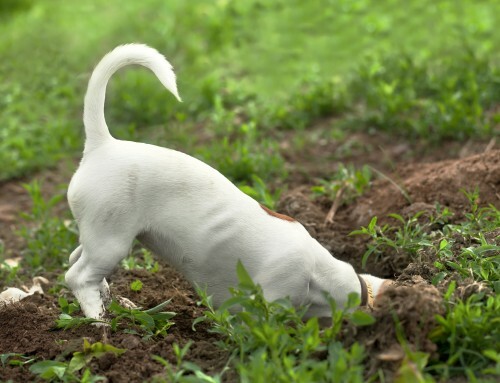 Expectant parents get lots of advice from well meaning friends and family on what to do, and how to prepare the dog for the fact that they will no longer be “number one” – including putting the dog outside (because that’s what going to happen, right? ), to rehoming their beloved pet for fear that the dog may become jealous of the baby and attack them. There’s a steady stream of inaccurate information on the internet (“in order to show that your baby is higher up in the pack, smear a full nappy around the walls higher than what the dog can pee”), and so much conflicting information that it leaves those fur parents who are trying to do the right thing by their dogs in such a state that they don’t know where to start. Along with the stress for expectant parents comes the stress for the dog. 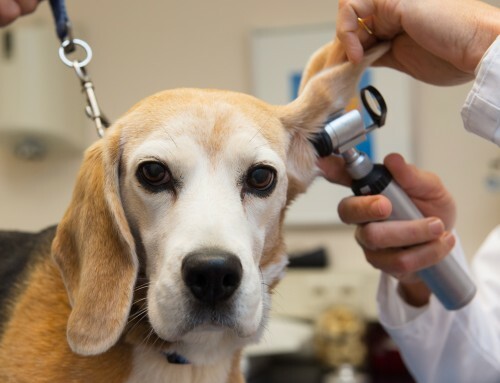 With changes to hormone levels (yes ladies, you already smell different), new furniture items arriving, and a new contraption in the car, your dog is already aware that something’s up. 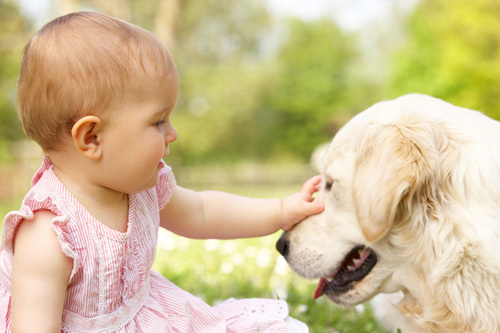 One of the main things that pet parents are concerned about when having a baby is that the child will become a replacement for the dog they love so much. That once they have a human baby, their fur-baby is no longer needed, or that their pet will become “just a pet”, rather than continuing to be a valued member of their family. While it is inevitable that there will be less time available once parents have their hands full with their new human baby, that doesn’t mean that dogs and babies – or dogs and children – can’t grow up together, living harmoniously side by side. And it doesn’t take much. Just some good planning and preparation. So what kind of planning and preparation are we talking about? Well, there are a number of things, but let’s start with the dog’s need for exercise. What time do you get up? Do you get up and take the dog for a walk straight away? When do you get the dog out for exercise? For how long? Where? Who does it? How much exercise does your dog need? Once you’ve answered all of those questions, now project forward and think about when you have a baby, how will these differ? 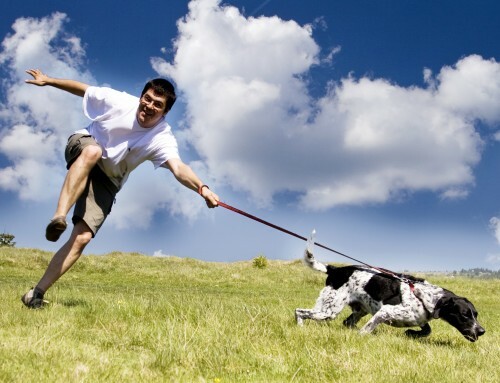 Your dog will still require the same amount of exercise, but who is going to fulfil that need? Will dad need to get up half an hour earlier? Is it something mum can do during the day, taking the baby along too? Will it be an opportunity for mum to get out on her own to have a break while dad stays home and looks after the baby? Will you all go out together as a family? Will you need to hire a dog walker? Can a family friend help out? By putting a plan in place BEFORE the baby comes along (and your routine goes out the window! ), you at least know how the dog’s needs for exercise are going to be met. That’s one less thing to consider and stress about. So what if you could have a complete plan in place before the baby arrived? What if you could ensure that your dog was ready for the new arrival, and be looking forward to it as much as you were? What if you could identify any red flags or problem areas and get those sorted before the baby comes? Wouldn’t it be great to expand your family, rather than feel like you’re replacing one family member with another?